Nautica has its roots in the Reading area, as the Vanity Fair Corporation owns it. The brand depicts man’s earliest accomplishments on the high seas, portraying an action and adventurous lifestyle. As such, it embraced the spinnaker logo early on to represent the brand. Today Nautica still represents a timeless fashion for men. 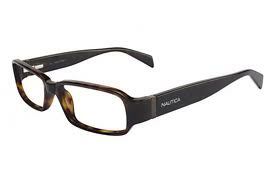 The Nautica brand uses a very conservative approach to its design, but uses a very unique blend of colors and materials to accentuate the frame. Additional manufacturing techniques establish a great sense of style and comfort to the fit. These techniques also produce an ageless sophistication, yet traditional appeal, within the Nautica eyewear collection.